Running ERP software in the cloud has advantages and disadvantages, so whether it’s a sound decision is determined by your business. The main advantage of running ERP software in the cloud is that it typically takes less resources (hardware and software) to get started with a new ERP system than with an in-house implementation. Compared to buying and maintaining everything yourself, these savings can be considerable. Whether you have an IT staff / IT vendor and the ability to allocate these resources to an in-house ERP system can help determine if these expenses are justified. However, cloud computing doesn’t necessarily mean your problems go away. In March 2012, for example, Amazon Web Services (AWS) went down – an outage that affected many popular sites, including Pinterest and Instagram. AWS was down again in 2015– and took Netflix with it. Security is often a critical concern for ERP buyers. How does your business require you to handle your data? Must you be in control of it, or can you turn it over to the cloud-based host? Whether you choose cloud-based software or you keep your ERP system in house, expect recurring fees for support, training, and updates. So over time, the cost differences may not be so clear. 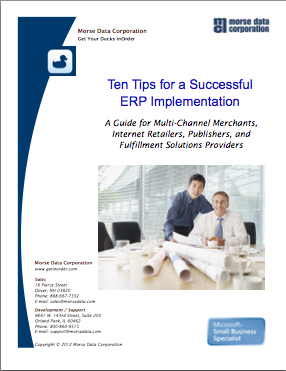 Buying an ERP version “out of the box,” eliminates customization, so implementation is quicker than it would be otherwise. However, it’s wise to make sure customization and updates are possible as your business grows, especially if your industry requires special processes. While you might be able to work with your vendors to see what changes can be made and how updates are handled, keeping your system in-house provides the greatest ability for customizing and growth. 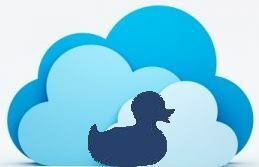 What’s been your experience with cloud computing? Feel free to leave a comment about it. Have you been thinking about it? If so, give us a call – we’ll be glad to help answer any questions you may have. Morse Data Corp. works with several integration partners to increase your productivity and help you keep your customers happy. One of these partners is TSYS, a leader in the electronic payments industry. Earlier this year, TSYS acquired TransFirst, one of several payment gateways that has been supported by InOrder for many years. This acquisition created the third largest integrated payments provider in the U.S.
TSYS has received several recognitions in 2016, including one of FORTUNE’s Fastest-Growing Companies, one of the World’s Most Ethical Companies, Military Time’s EDGE 2016 Best Vets: Employers (No. 66), Visa Quality Performance Award for Lowest Response Time, Visa Quality Performance Award for Assured Transaction Rate, NICE Customer Excellence Award for customer experience, and many others. TSYS is one of Morse Data’s many integration partners. InOrder is a real-time, tightly integrated, single database ERP system for multi-channel merchants, Internet retails, publishers, and fulfillment solutions providers. You can read some of our reviews here. To find out more about integrating InOrder with TSYS, give us a call.